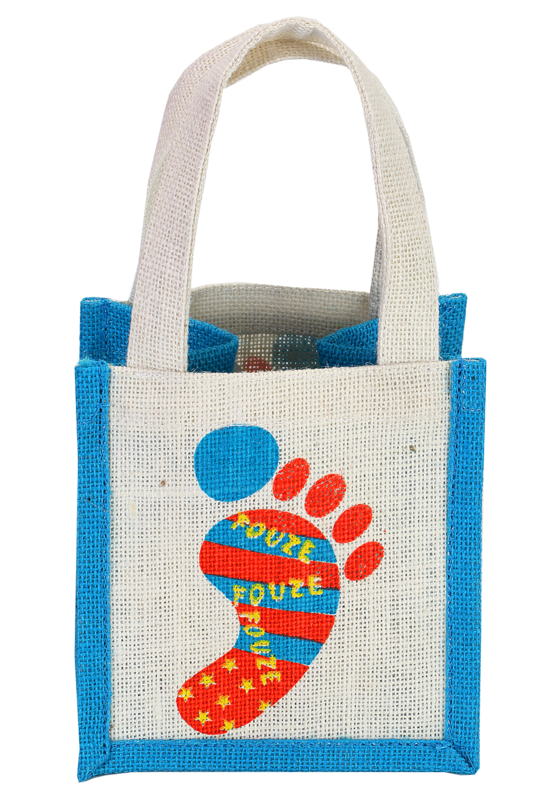 This Jute bag is outstanding in its appearance with white and blue color. It has a skillfully marked carbon footprint made on its body that awakes you of using eco-friendly products. 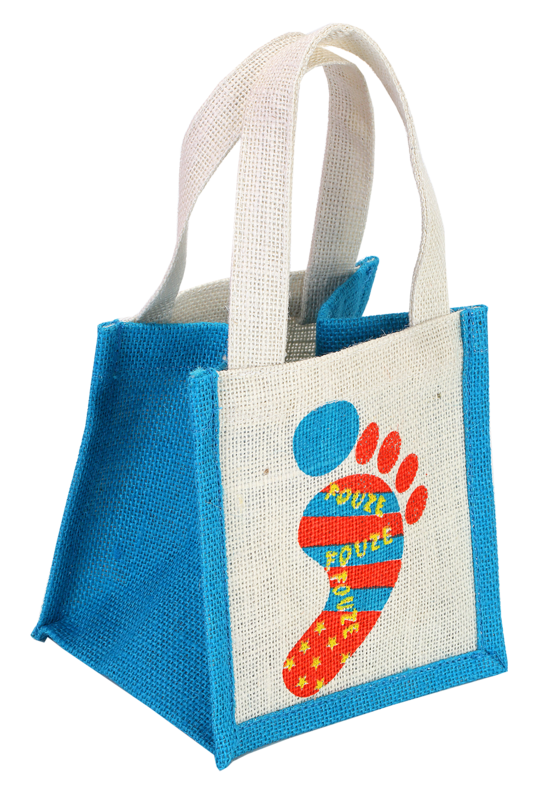 This bag is 15cm in height, 15cm in width and 14 cm in depth, thus making this product light weight and easy to carry. It has a captivating look that will add up with the business name. This is the best bag you can take for your brand promotion.